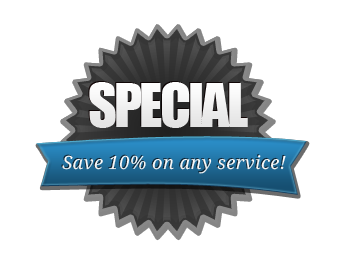 Central Carpet Cleaning & Dye, Inc.
Save on commercial and residential carpet cleaning service! 2 Rooms Special $49.95 with Free Hallway. Call us for a FREE estimate or to make an appointment. Central Carpet and Cleaning offers professional and affordable eco-friendly carpet & upholstery cleaning in Metro Detroit area. Central Carpet uses a powerful, low moisture steam cleaning extraction method recommended by leading USA carpet manufacturers. Our attention to detail, use of green eco-friendly cleaning solutions and prompt service is what separates us from the competition. Central Carpet Cleaning & Dye, Inc. is dedicated to provide you, our valued customers, with superior service, backed by years of experience, at very affordable cost. Put us to the test. Call now and get your free estimate. Not all carpet cleaners are alike. We believe you should expect the best and that's what we deliver, GUARANTEED! Central Carpet Cleaning and Dye have been serving Detroit Metro Area for over 10 years and has established itself as one of the leading specialist carpet cleaning and carpet maintenance companies.